Janesville Farmers Market » Spring Salads – Loving Those Greens! Spring salad greens are here! If you don’t like salad, maybe you just haven’t tried the right greens yet! 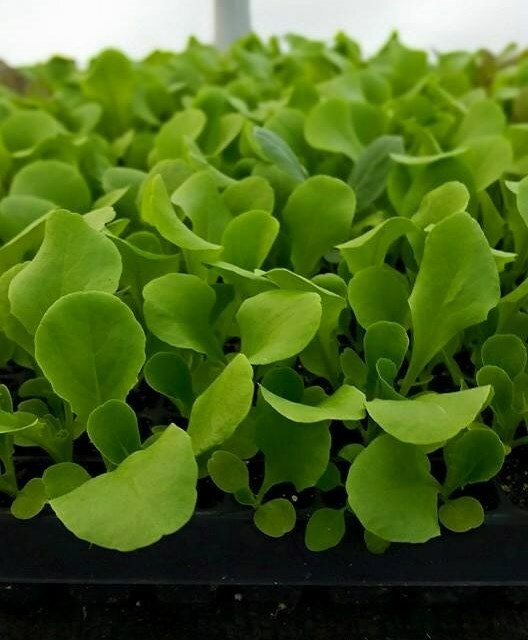 There are many great varieties that have more nutrition and flavor than those boring iceberg leaves! Try them alone or make your own mix. Of course, if iceberg is your thing, that’s alright too. You may wish to start out by mixing a few new flavors into your usual salad. Most greens will store best unwashed. If you plan to eat the greens within a few days, you may want to wash them ahead of time and have them ready to go. (Ready-to-eat greens may be more likely to actually get eaten.) The key to storage is to keep the fresh greens dry. Swish the greens in several changes of fresh water, then use a salad spinner or towels to get most of the moisture out. A salad spinner with a solid bowl is great for washing and drying. Add a splash of food grade hydrogen peroxide or apple cider vinegar to the wash water on the first or second wash. Finally, spin or blot dry. Store in a refrigerator container or zippered bag. Homemade salad dressing is a quick and simple way to ensure that you are eating fresh, high quality oils while avoiding unnecessary additives. 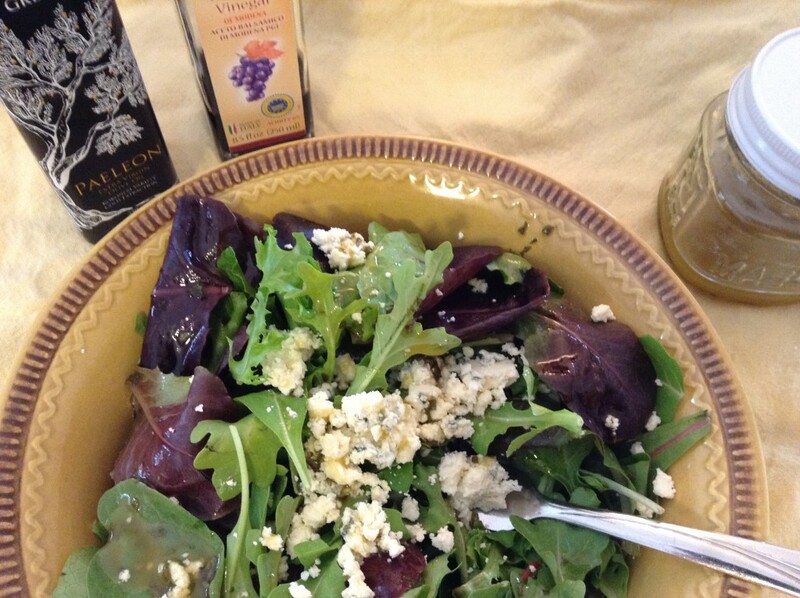 Both the oil and the vinegar help with digestion and absorption of the nutrients in your salad. Store your fresh dressing in the fridge for up to a week, but bring it to room temperature and shake well before serving. If purchasing a pre-made dressing, look for one made with extra virgin olive oil. Avoid canola and soybean oils, artificial additives, msg and excess sodium. Place all ingredients in a pint-sized mason jar. Put the lid on tightly and shake vigorously until emulsified. Serve immediately or re-shake as needed. Sun Dried Tomato: 1 tsp. sun-dried tomato flakes and 1 tsp. chopped chives or green onions. Whisk everything together with a fork and serve over greens or as a dipping sauce for fresh veggies. June is dairy month, and we think you’ll be inspired to get creative with local cheese in a favorite comfort food. Dairy and gluten free recipes will be included. Learn to make your own live, fermented vegetables. We’ll cover sauerkraut and its variations, along with some fermented veggies that may be new to you. on West Wall Street in Downtown Janesville.